In the background are a variety of other relevant trends and data patterns: Weather-related fatalities have continued to increase in recent decades; and insurance payouts due to extreme weather have steadily risen over the past 30 years, with net underwriting losses in the U.S. totaling an estimated $34 billion in 2011. Climate change and the potential for more powerful storms and extreme weather continue to loom — with the effects predicted to be particularly acute for the East Coast. However, quantifying these risks and pricing them properly is proving a vexing problem for insurance companies, and some are calling for new industry approaches. The climate change-Sandy connection has been featured in a wide variety of coverage already, in publications such as Bloomberg BusinessWeek and The Economist. Moreover, experts are already examining questions about the effectiveness of existing infrastructure to limit damage, especially for New York City. 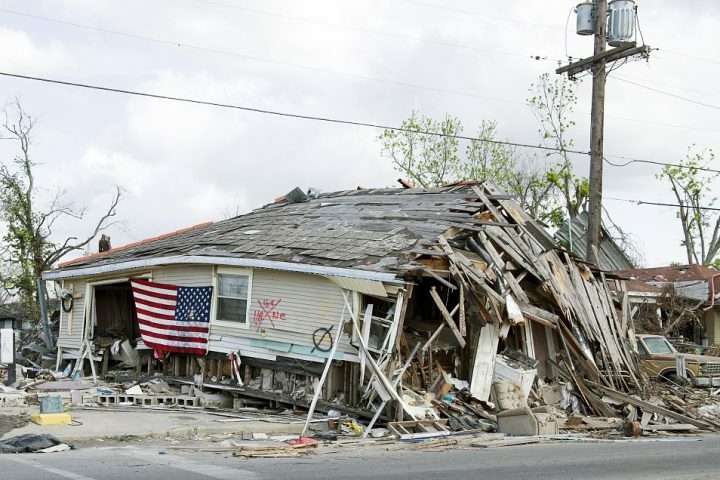 Of course, the issue of how the federal government should respond to natural disasters has a long, and at times highly political, history; the proper role of the Federal Emergency Management Agency (FEMA) continues to be debated in real time, in the wake of Sandy. Note: This document will be periodically updated. Carter, Nicole T. Congressional Research Service, October 31, 2012. Lindsay, Bruce R.; Murray, Justin. Congressional Research Service, April 2011. Liu, Chanluan, et al. Journal of Business Research, Vol. 65, Issue 5, May 2012. Moore, Melinda, et al. Disaster Medicine and Public Health Preparedness, April 2012. Pearson, Michael M., et al. The International Review of Retail, Distribution and Consumer Research, Vol. 21, Issue 5, 2011. Schultz, Jessica, et al. Population and Environment, March 2012. Healy, Andrew, et al. American Political Science Review, Vol. 103, No. 3, August 2009. Steinmetz, Sarah E., et al. Anxiety, Stress and Coping: An International Journal, Vol. 25, Issue 5, 2012. Cutter, Susan L. Proceedings of the National Academy, Vol. 105, Issue 7, February 2008. Zhang, Yang, et al. Disasters, 2009. Horwitz, Steven. Mercatus Center, St. Lawrence University, 2008. Pew Research Center, August 2010. Kessler, Ronald, et al. Archives of General Psychiatry, Vol. 64 No. 12, December 2007. Levine, Joyce N., et al. The Journal of Planning Literature, 22:3, 2007. Rubin, Claire B. Journal of Homeland Security and Emergency Management, Vol. 6, Issue 1, 2009. Chandra, Anita, et al. Journal of the American Medical Association, Vol. 304, Issue 14, October 2010. Cavallo, Eduardo, et al. Inter-American Development Bank working paper, May 2010. Currie, Janet, et al. National Bureau of Economic Research working paper, May 2012.